For Icom F3001,F4001,F3003,F4003 radios' battery. 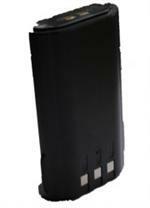 2WAY-BP38 , uniden 2 way radio battery BP38 , 380 , 380-2 , 680 , 635 ,885 ,1038 ,1448 ,2089 ,2099 GMR/GRMS battery. For uniden 2 way radio battery BP38 , 380 , 380-2 , 680 , 635 ,885 ,1038 ,1448 ,2089 ,2099 GMR/GRMS battery. for Motorola Mag One , BPR40 , A8 radios . To replace PMNN4071 Ni-Mh battery. 2WAY-CHAVP6 , Charger for Midland BATT6R battery. for Yaesu / VERTEX FNB-V41 , FNB-41 VXA-100 Aviation Pro. 2 way radios. Yaesu Vertex battery FNB-V57, FNB-V64 radio model number VX110,VX150,VX160,VX180,VX210,VX400,VX60R ,VX800, VXA120, VXA200. for ICOM 2 way radio, BP7, CM7, BP8 , CM8 ,IC-A2,U2 , U12, H16, M5, 2.02AT, 03At. 04At. 2GAT, 4GAT. 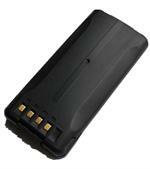 32A/AT/E..
KENWOOD KNB17 , BATTERY FOR TK280, TK290, TK380, TK390, TK480, TK481. 2WAY-KNB25 , for Kenwood - KNB24, KNB25, KNB26, KNB35 KNB57battery. for Kenwood - KNB24, KNB25, KNB26, KNB35, KNB57 battery. For Kenwood KNB33 - TK2180 , TK3180 , TK5210 , TK5310. For Motorola SX700 SX700R Radio , Battery number- KEBT-072 battery. 2WAY-M54 , Motorola FV300, FV700, SX500, SX600, SX800 and SX900 , or KEBT-086B battery. 2WAY-PB34 , PB32, PB34 batteryfor KENWOOD.